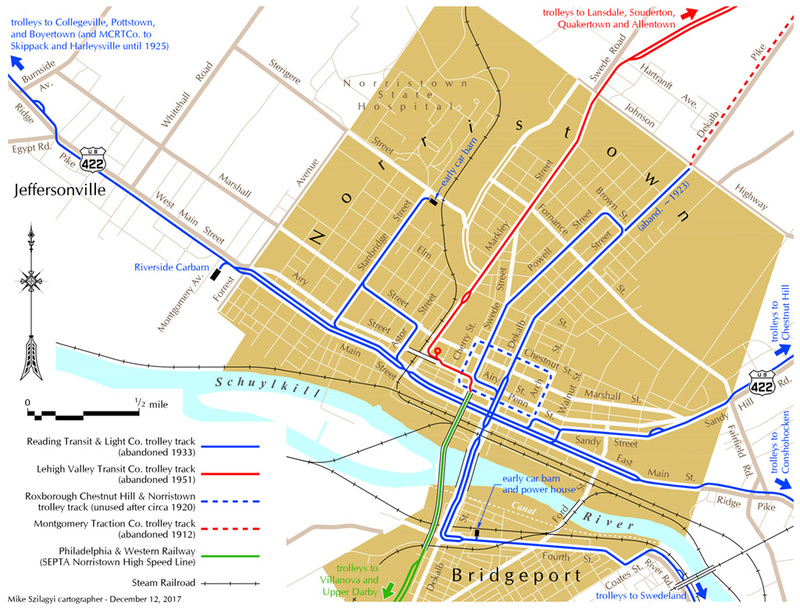 This map shows trolley lines in and around Norristown. Blue lines are trolley tracks of the Reading Transit & Light Co. (Schuylkill Valley Traction Co.), abandoned in 1933. Red line is the trolley track of the Lehigh Valley Transit Company, abandoned in 1951. Green line is Philadelphia & Western Railway, now SEPTA Norristown High Speed Line. Click on the map to view a high-resolution (vector-based) pdf.